Quantum Code is the quintessential investment SCAM which has recently resurfaced and is currently creating a massive backlash in the binary options community. Our review will expose how this has become possible, and start connecting the dots in a way which will answer some of your questions about how this fake software and trading robot works and also why it has been so successful at misleading and deceiving potential day-traders and opportunity seekers. We have recently found out this fraudulent piece of software is being freely advertised on Forbes, Reuters, and the International Business Times as well as other seemingly respectable and legit news organizations. In all honesty, we were shocked and quite angered at how advertising dollars effect the moral compass of the managers steering the helm of these news Leviathans. With all due respect, we believe a line has been crossed and we are no longer willing to accept that fact that financials scams, Ponzi schemes, MLM pyramids, or fake work from home offers are freely advertised on premium content and media outlets. Keep reading to see how we reached our troubling conclusions and why Quantum Code and the people pulling the strings behind it should be sentenced to long prison terms for internet fraud. Official Website, Login Page, and Members Area: http://quantumcode-system.co/? Below you will see how these crooks have managed to advertise their filthy internet fraud schemes on Forbes. When we saw it our jaws dropped, and then we understood why so many people are getting ripped off. These crooks are intentionally using the legit facade of credible and trusted news portals in order to cause you to drop your guard. This is a shameful tactic, but to be honest I can’t blame them. These guys are in it for the money, and the real problem has to do with the fact that they are being allowed to advertise at all. Despite everything we believe our review will not remedy the situation, that is up to the legal entities. On a side note, this sticky situation has just been exacerbated as we have just received covert threats not to publish this article (naturally we ignored those demands). Michael Crawford “the nicest rich man on Wall Street” has revealed the untold secret of Wall Street. He was able to get his hands on the holy grail of binary options trading and now, together with his team of programmers he is in a unique position to offer you a “100% guaranteed way to make profits every day forever”. Needless to say, this opportunity will be provided for you at no cost. However there is a catch! You must be an “action taker” since this window of opportunity is closing fast. Crawford does not provide any explanations as to how his system works and the trading logic behind it. This actor is stating that there are only 20 spots left so you need to make haste and deposit now in order to get started with this “unique system”. This is very commonly used pressure tactic and con artists love to spring their trap using these types of baiting tactics so be super cautious. This person is a paid actor named Jason Glick, and we exposed his real identity in one of our follow up reviews. This is a high end production which has since been copied and reproduced without permission. The people behind the scenes are seasoned affiliate marketers who will use any dirty tactic available to them in order to get you to open your wallet. We have the classic hyped-up and exaggerated claims of easy money, inflated bank accounts, fake testimonials and actors spewing lies, and at the end of the chain you have rogue brokers that will bleed you dry without a hint of conscience or guilt. We have previously mentioned that the minimum investment amount is $250, and this money will be charged to your credit card by thieving offshore brokers who are not familiar with concepts such as ethical business practices. Lately Bitcoin and cryptocurrency schemes are gaining momentum. So make sure to watch out for CryptoTrader and Bitcoin Code. Definitely! We have a few big review sites endorsing this SHAM (for the lack of a better word). It’s plain to see these are fake review sites that are getting paid hefty commissions in order to write favorable reviews. For all intents and purposes these commissions are really bribes, and have nothing to do with the actual system or how profitable it is. There’s a lot to be said here, but ultimately our recommended section has filtered out all the get-rich-quick schemes and what we have chosen to endorse is the creme of the crop in Forex and Options trading systems. We have done all the research so you don’t have to. 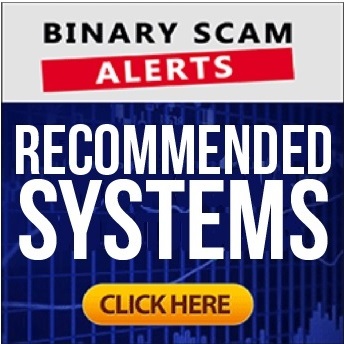 The fact that the Quantum Code automated trading software and robot by Michael Crawford is a blacklisted scam is already well known among trading enthusiasts. However, our review sheds light on how the scam operates (modus operandi) and it should come as no surprise that as a result we have stirred up a real hornet’s nest as we have already been threatened and intimidated by unethical goons. We hope we are savvy and strong enough to leave this review up as a warning sign to our members and viewers but, can’t guarantee this will be the case. Our list of complaints ranges back to about a year ago, and we still get grievances and horror stories on a daily basis about how people get ripped off and lose their life savings. Here’s a fair warning, these crooks specialize in software manipulation (it’s rigged and set to lose is the most frequent complaint), identity theft, and credit card fraud. Furthermore, we are mortified and totally at awe by the fact that respectable news organizations such as Forbes and Reuters-Thompson lend their names and reputation to such despicable and vile schemes. We urge these organizations to cease from doing so and stop lending a hand to a most corrupt and deceptive ploy. We hope this new information has helped you gain a better understanding of how Quantum Code is designed so you can avoid similar fraud attempts in the future. Don’t forget to join our Facebook Group and Subscribe to our YouTube Channel.